The opening of the new Museum of London exhibition every October is one of the high points of my year as they always have amazingly imaginative displays that showcase different aspects of the capital’s rich and varied history and culture. There’s not many things that I would willingly roll out of bed for at 3am on my birthday but this is definitely one of them! 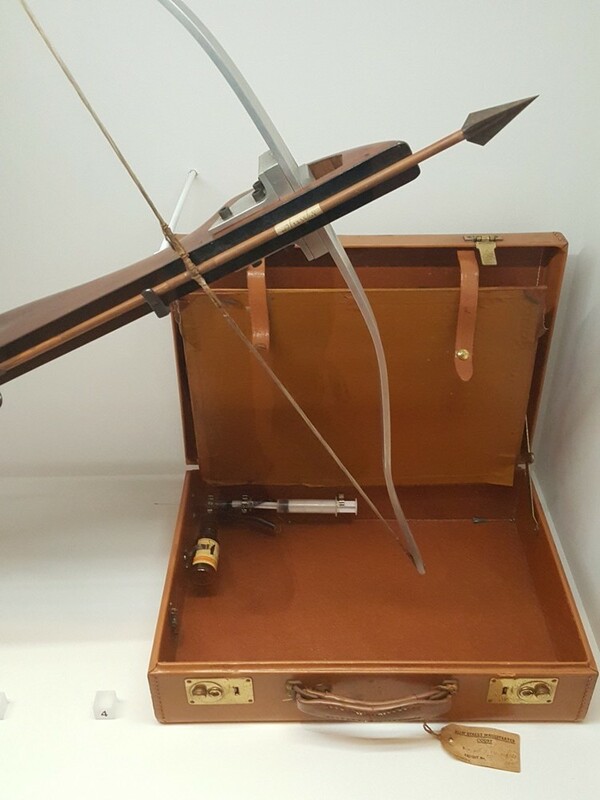 Last year’s exhibition took a close look at the city’s most famous fictional detective, Sherlock Holmes, bringing to life the world that Conan Doyle’s most celebrated creation inhabited. This year, however, although the focus remains on crime, it is of a very different nature to the sort of thing that Holmes found himself investigating. 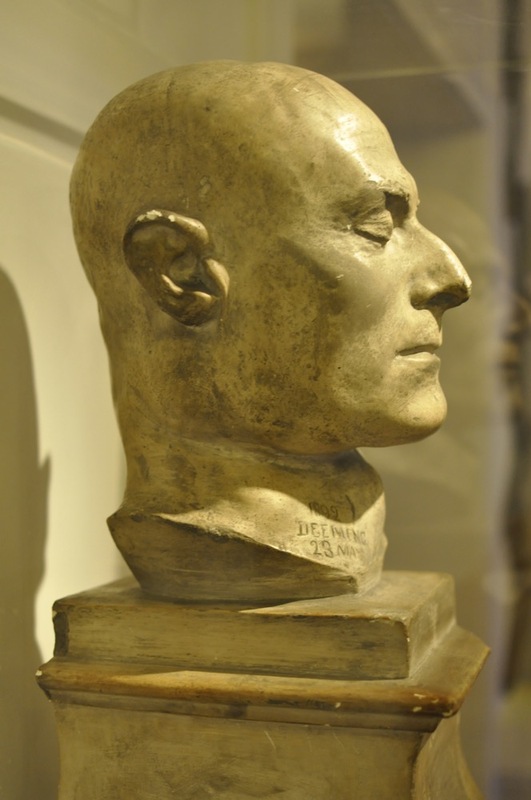 The Metropolitan Police’s Crime Museum was first established by the police back in the mid 1870s as a teaching tool where new recruits could take a look at artefacts associated with notorious and other less well known cases in order to increase their knowledge of criminal methodology. Although the general public have, until now, been forbidden entry more seasoned coppers could apply to visit too, perhaps for research reasons or maybe in order to follow a hunch about the similarities between a historic and present day murder, which could shed some light on the identity or motivation of the perpetrator. 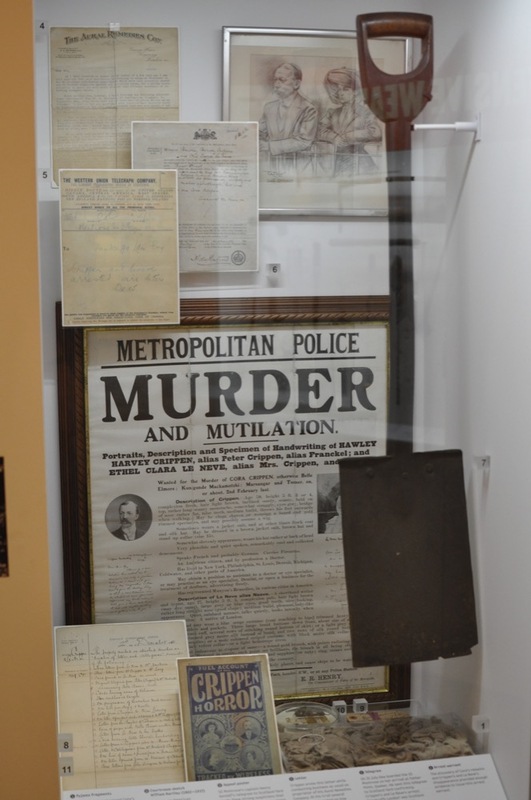 It really has proved itself to be a most amazing resource over the decades and although it began with quite a modest number of ‘exhibits’ has grown to encompass many hundreds, all relating to crimes investigated by the Metropolitan Police. 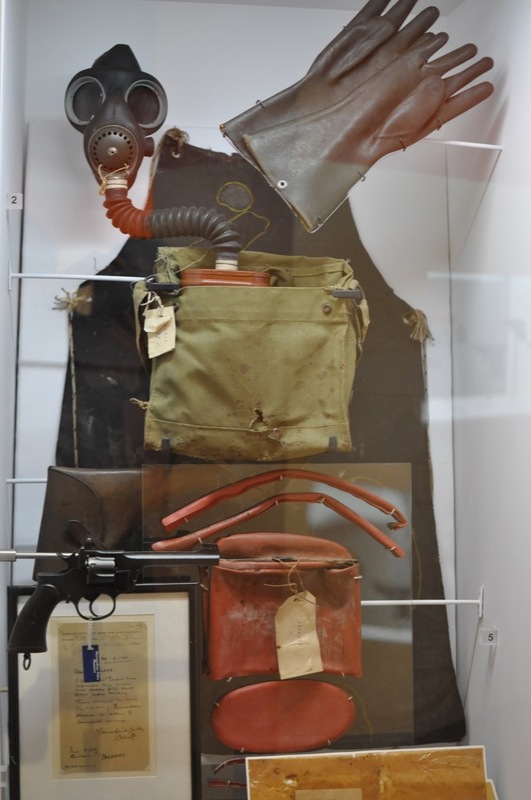 When the museum first began, the items were taken from the Prisoners’ Property Store at Scotland Yard where they languished after a conviction had been achieved until 1875 when an Inspector Percy Nearne realised the potential of the evidence and other bits and pieces there and began to put particularly interesting items to one side in order to create a training museum. 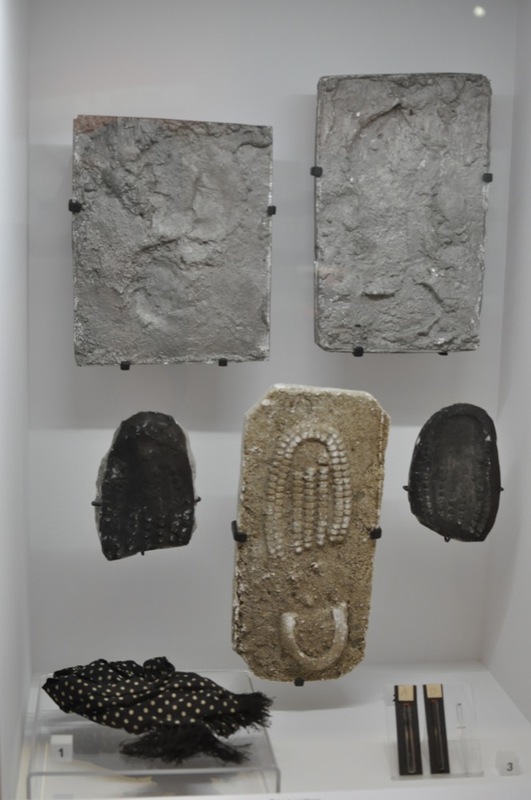 Eventually, officials involved in particularly notorious or interesting cases would be contacted in advance and asked to keep particular items aside for donation to the museum, which meant that its curators could have the pick of all the most ghoulish relics. 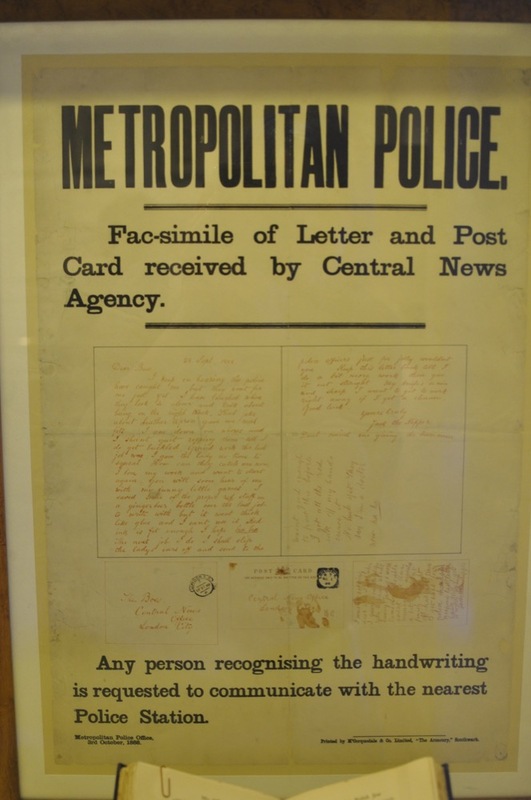 The facsimile guide for the start of the exhibition/a poster asking for information about the ‘Jack the Ripper’ letter/one of the pistols used in an attempt to assassinate Queen Victoria/the death mask of Frederick Deeming, who was suspected to be Jack the Ripper. 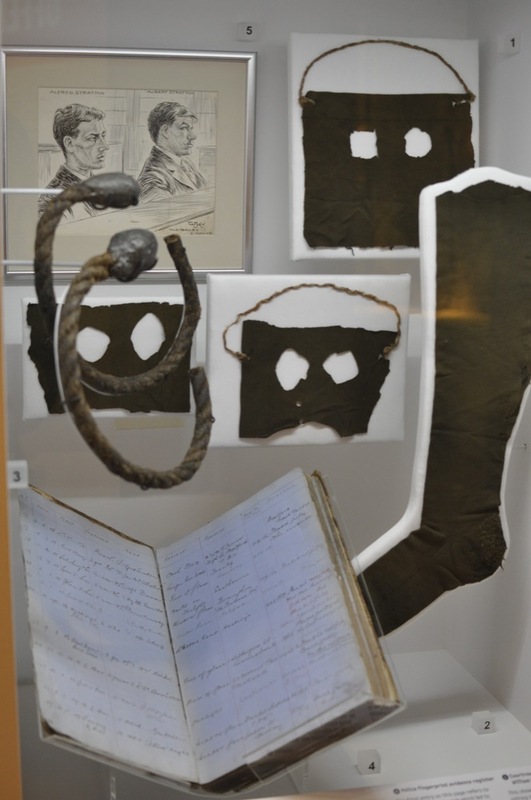 Over the years Scotland Yard’s so called ‘Black Museum’ has exerted a powerful fascination for the public thanks to the macabre nature of its rumoured exhibits, the exclusivity of its access and also the fact that not many people know for sure what it is like. It’s not a secret, of course, but like Freemasonry, it’s a spectacle restricted to a very select few and endlessly speculated about by everyone else. 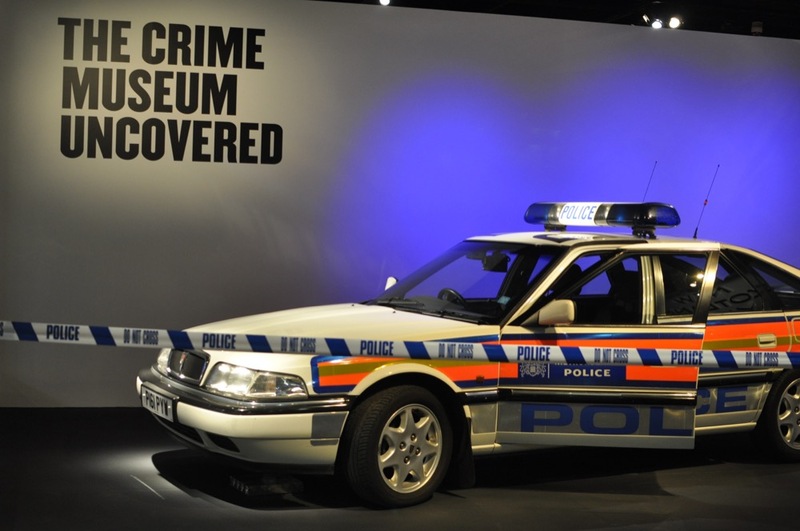 I was amazed and thrilled therefore when I heard that the Museum of London and Scotland Yard had joined forces to present some of the most fascinating exhibits to the public as part of a special exhibition, giving us all unprecedented access to the collection. 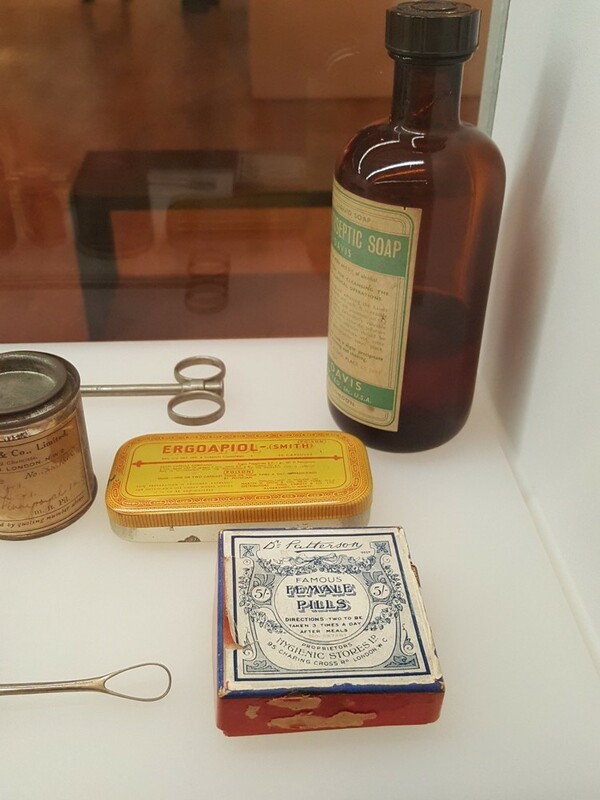 Naturally not everything from the Crime Museum’s 2,000 article strong collection could be included in the display but with such a wealth of material to choose from, it was clear right from the very start that this was going to be a very special and fascinating show. 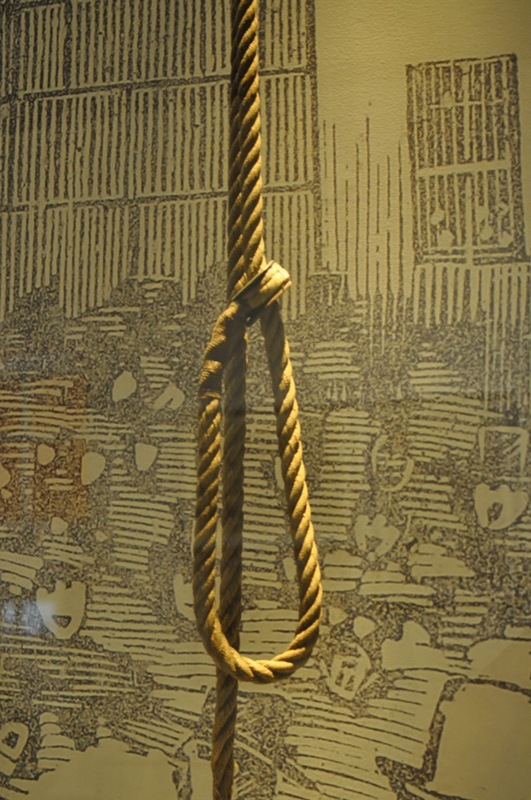 The rope used to hang Amelia Dyer/an information card about a released prisoner (who looks exactly like Maisie Williams/Arya from Game of Thrones/makeshift masks used by the Stratton Brothers, who murdered a couple while robbing their shop/the spade used by Dr Crippen to bury his wife’s remains/the portable hanging kit. 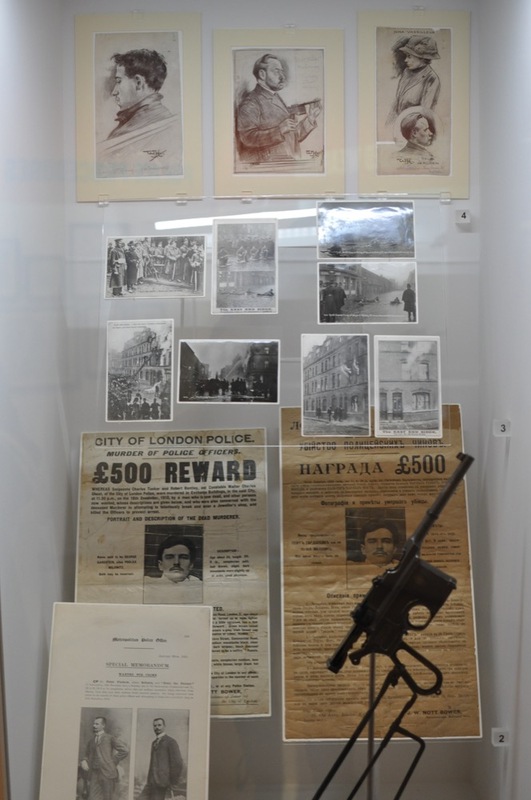 I’ll be honest, at a time when social media has been (quite rightfully) caught up in controversy about the opening of a Jack the Ripper museum on Cable Street (I’ll be writing more fully about this later on as I’m sure that some of you want to hear my thoughts about this!) 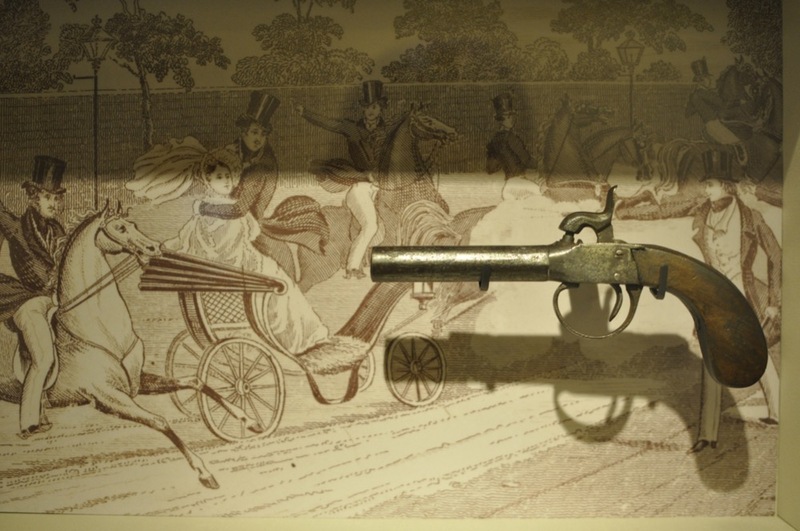 which takes an apparently rather hackneyed look at the Whitechapel Murders of 1888, I wasn’t really sure what to expect when I rolled into the Museum of London bright and early a week ago for the press view of the exhibition. 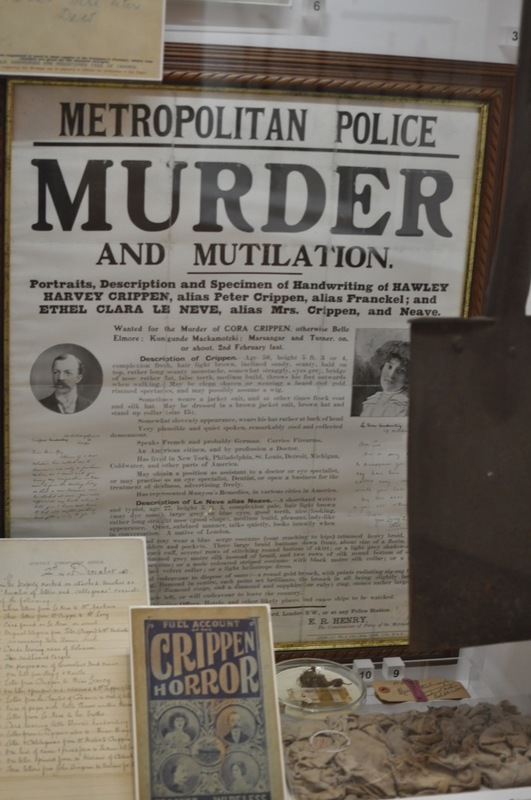 Thanks to the Ripper Museum, there’s been a lot of talk lately (and about time too) about the most appropriate way to sensitively and intelligently display items relating to violent crimes. It’s obvious that the Ripper Museum have seriously misjudged the contemporary attitude and in consequence got it all badly wrong by harkening back to the outmoded hackneyed fog and top hat mythological version of the Ripper’s crimes but how, I thought, would the Museum of London improve on that? I need not have worried though (and in fact I wasn’t really worried at all as I knew they’d pull it off) as this exhibition is in an entirely different league altogether, not just because of the wealth of material on display but also because of the thoughtful, sensitive and insightful way in which it is presented. Yes, there are objects on display that made me feel more than a little bit squeamish such as items associated with John Haigh, the so called Acid Bath Murderer; John Christie of 10 Rillington Place; the stained knives used by Gordon Cummins, the ‘Blackout Ripper’; a badly charred chair upon which a murder victim was discovered completely immolated in 1933 and, perhaps worst of all, the actual trunk in which the decomposing body of Minnie Bonati was discovered at Charing Cross railway station in 1927. 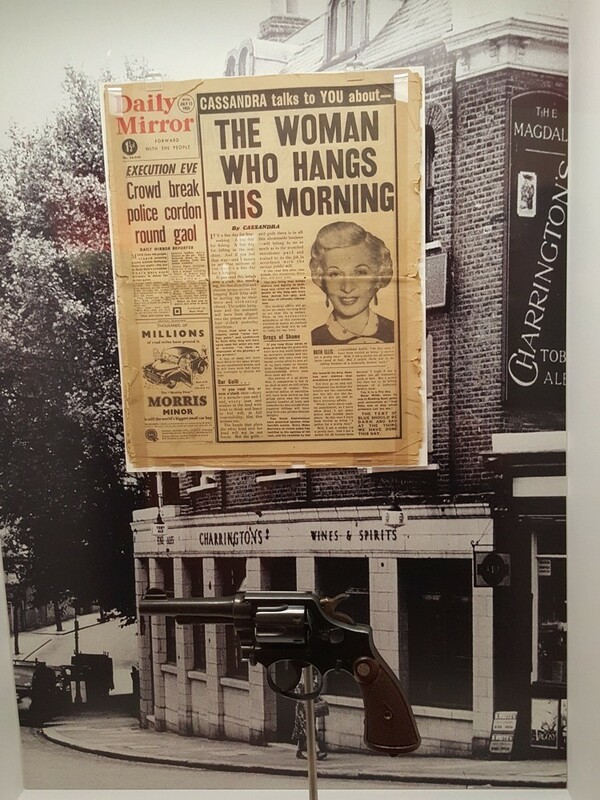 However, everything is behind glass and is tactfully presented in a thoughtful and respectful way that gives all of the full context to whatever is on display and makes no attempt to sensationalise or glorify the criminal acts that lie behind the stories and offers absolutely no titillation whatsoever. 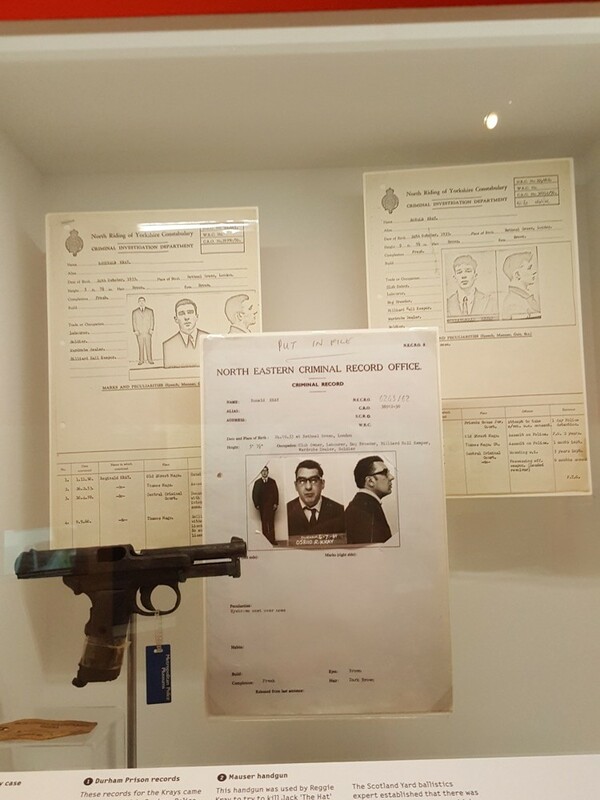 That’s not to say that fans of lurid ‘true crimes’ won’t enjoy this (they would – excessively) but the display does an excellent job of being both educational and fascinating at the same time. 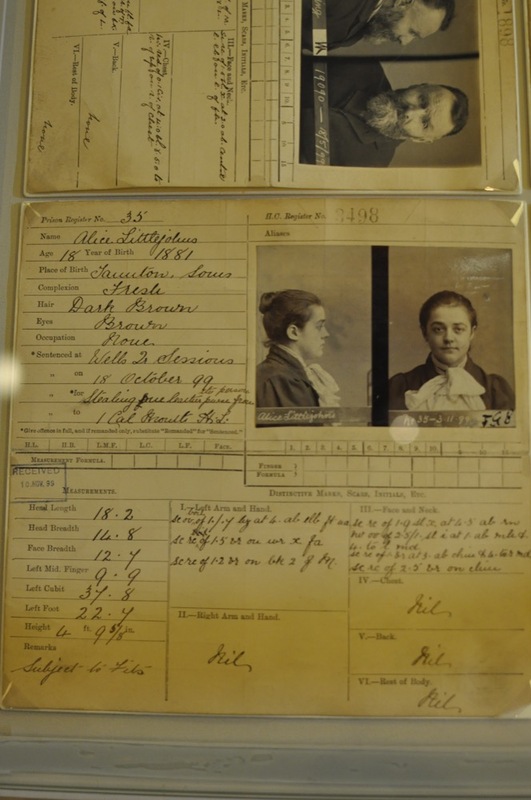 More items relating to Dr Crippen/the trunk that Minnie Bonati’s body was discovered inside/items relating to the Siege of Sidney Street in 1911. 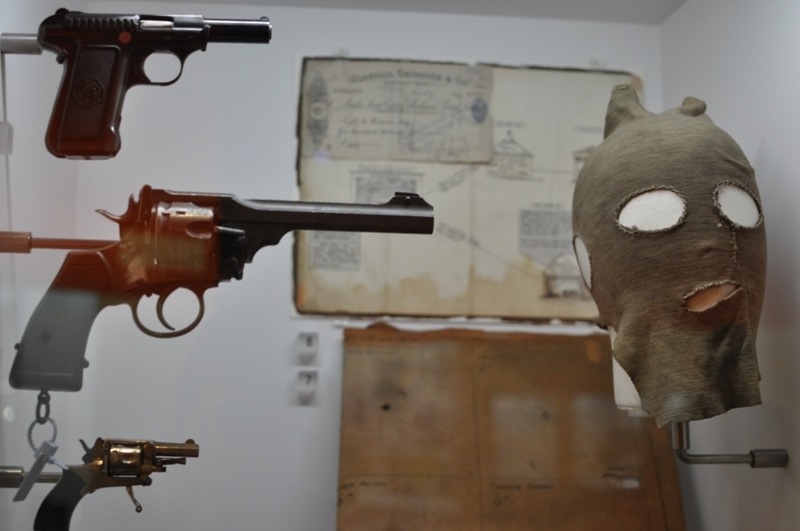 The exhibition starts with a look at the origins of the Crime Museum itself and using a free guide modelled on one of the sensational crime broadsheets leads visitors through rooms inspired by illustrations of the museum at it looked in the late nineteenth and early twentieth centuries where objects that formed part of the earliest collections are on display, including an eerie collection of death masks taken from criminals hanged outside Newgate Prison, the pistol used in an attempt to assassinate Queen Victoria, an amazing collection of courtroom illustrations from various trials and several articles relating to notorious historical cases. It’s in this section that you’ll find items associated with Jack the Ripper (including the infamous Swanson Marginalia), the poisoner George Chapman, the Tichborne Claimant and the notorious cat burglar and murderer Charles Peace as well as an assortment of other petty thieves, conmen, baby farmers and murderers. 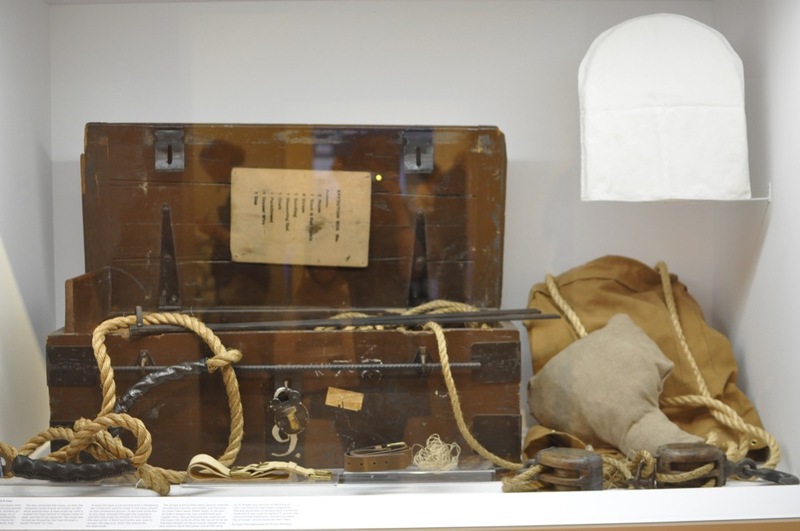 Even more sobering is the display of execution ropes, including the one that was used to hang the notorious baby farmer Amelia Dyer in 1896. It’s a stark reminder that the consequences for criminal activity back in the day were grave indeed. 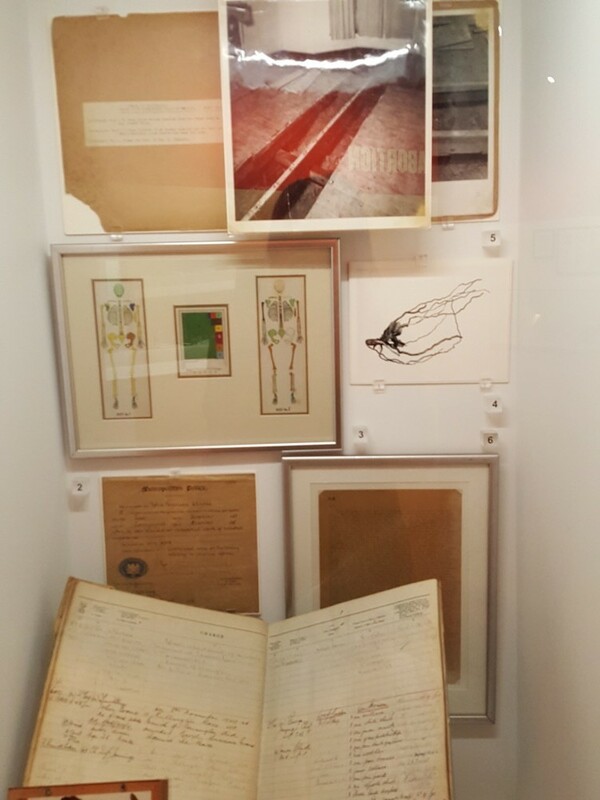 Items relating to the murder of Ruby Keen in 1937/items relating to the ‘Acid Bath Murders’/items relating to the grim discoveries of several women’s bodies at 10 Rillington Place. 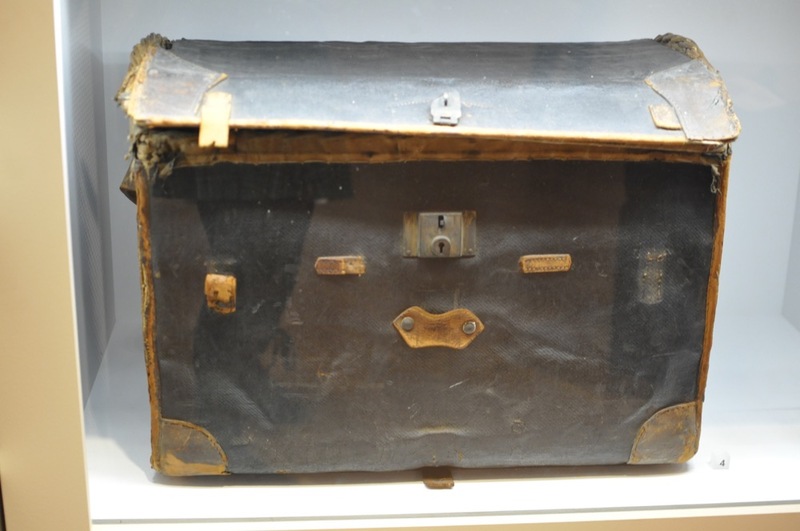 Items relating to Ruth Ellis/The Kray Twins/The Kray Twins’ scary murder briefcase which was loaded with a syringe full of lethal poison/a portable murder investigation case containing everything required to collect evidence at the scene of a crime. 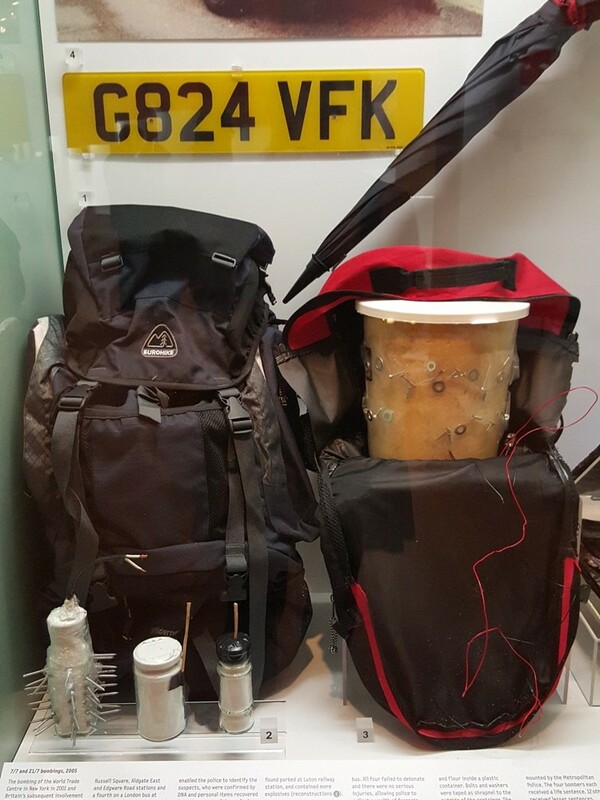 The rest of the exhibition focuses on more general crimes such as forgery and terrorism with displays about counterfeiting coins, the attacks by the IRA and the more recent attack on the London transport system. I was particularly shocked by the horribly melted riot shield that was carried by a police officer during the Broadwater Farm riots – it really brought home how dangerous their job is and how frightening it must have been. As a new fan of Call the Midwife (I KNOW, what took me so long?!) 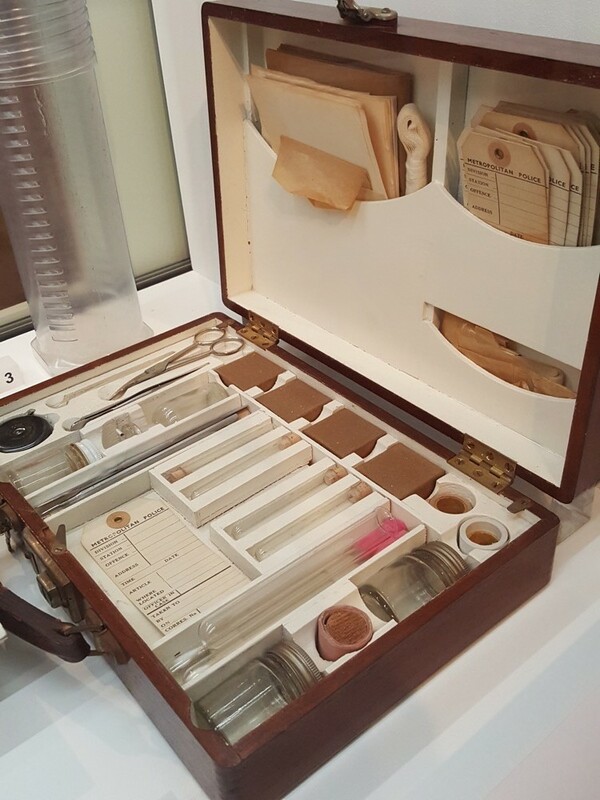 I was interested to see the rather traumatising display about illegal abortions which showed just how desperate women must have been before the law changed and contraceptives became more reliable and widely available. I’m really glad that this isn’t something that anyone in this country has to resort to in this day and age. 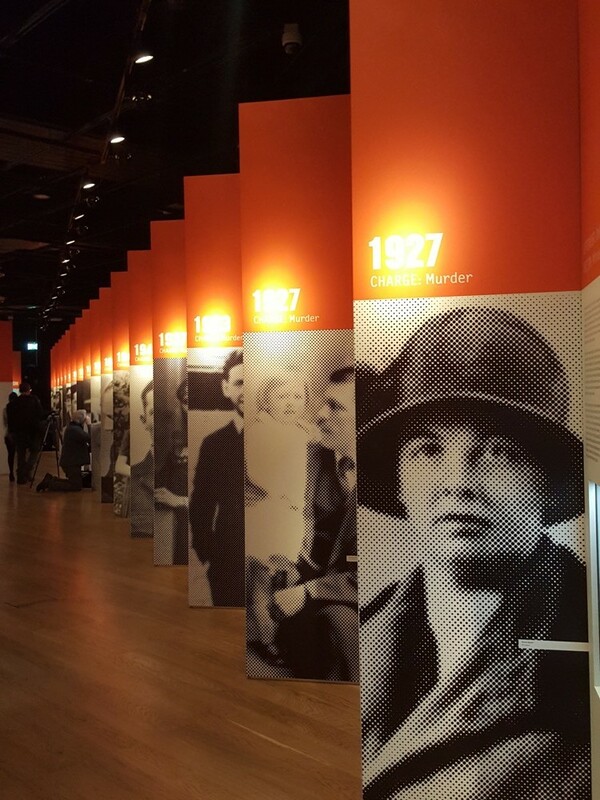 I thought that the Crime Museum exhibition was absolutely superb – really thoughtful, engaging and fascinating, albeit in a rather grim sort of way. I’ve had a few people ask me how gruesome it is and if it’s suitable for children. I’m pretty squeamish and didn’t see anything that made me really recoil in horror although obviously one or two of the exhibits were a tad on the macabre side. There wasn’t anything there that I wouldn’t be happy letting my children see though but as with most things, your mileage may vary. I’d definitely proceed with caution if taking younger children and be prepared to answer lots of questions! 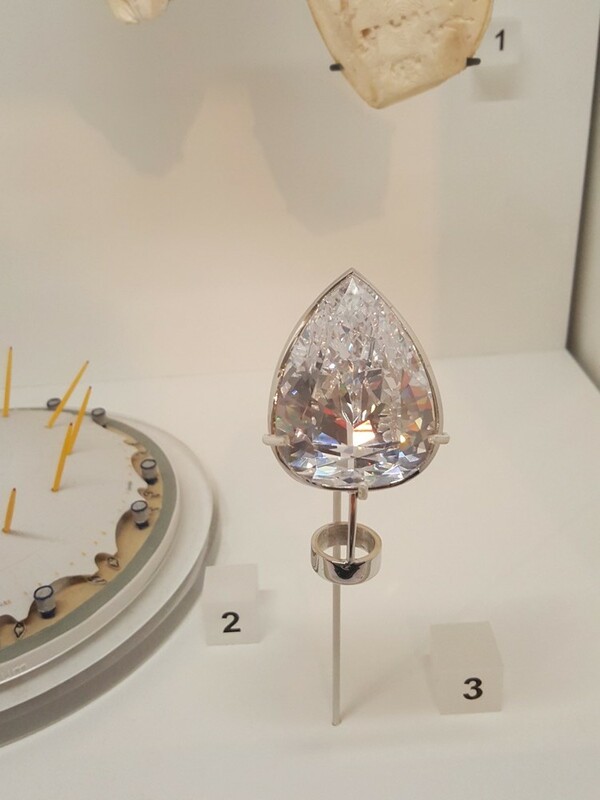 The main exhibition/items relating to the bombing of the London transport system in 2005/items used for illegal abortions/replica of the diamond at the centre of the Millennium Dome Robbery in 2000. 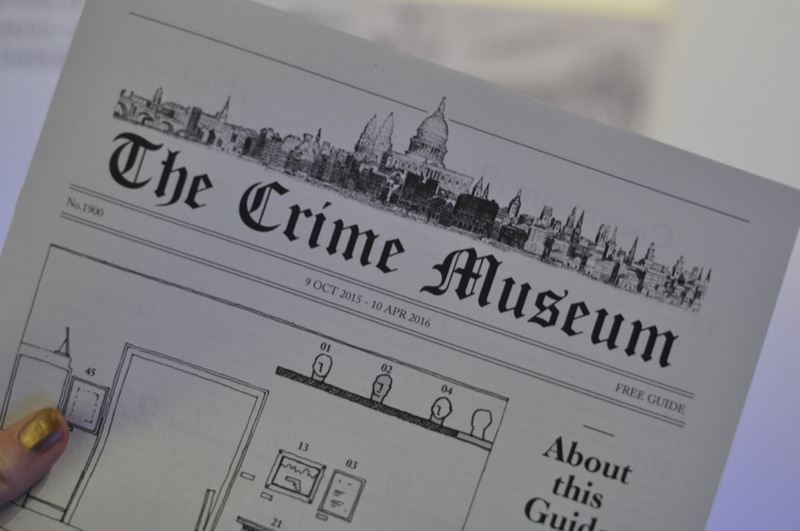 The Crime Museum Uncovered is on at the Museum of London until the 10th April 2015 and is a definite MUST SEE. 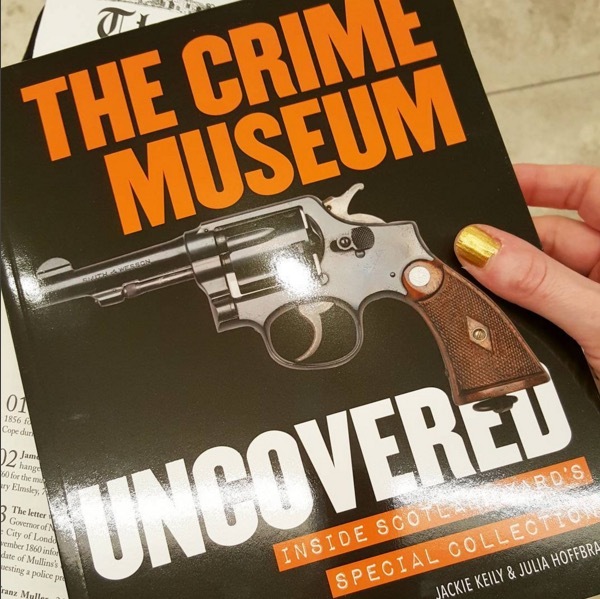 However, if you can’t make it to the exhibition, there’s a brilliant book, The Crime Museum Uncovered: Inside Scotland Yard’s Special Collection accompanying the show which has over 490 great colour photos of pretty much every exhibit along with a full explanation of the museum’s history and the tragic stories behind the objects on show, taking ‘the reader on an uneasy journey through some of the UK’s most notorious criminal investigations; from Dr Crippen to the Krays, the Great Train Robbery to the Millennium Dome diamond heist.’ I couldn’t resist buying a copy when I went to the press preview and completely devoured it on the train, utterly gripped by the stories inside. I’m thrilled therefore to have another copy here, courtesy of the publisher I.B Tauris, to giveaway to a lucky reader. All you need to do is follow the Rafflecopter instructions to enter! The book is fairly hefty so this is open to UK residents only, sorry!